Indie City Madness Episode 170: Her Harbour Live in Studio! Ep. 170 – Her Harbour Live in Studio! 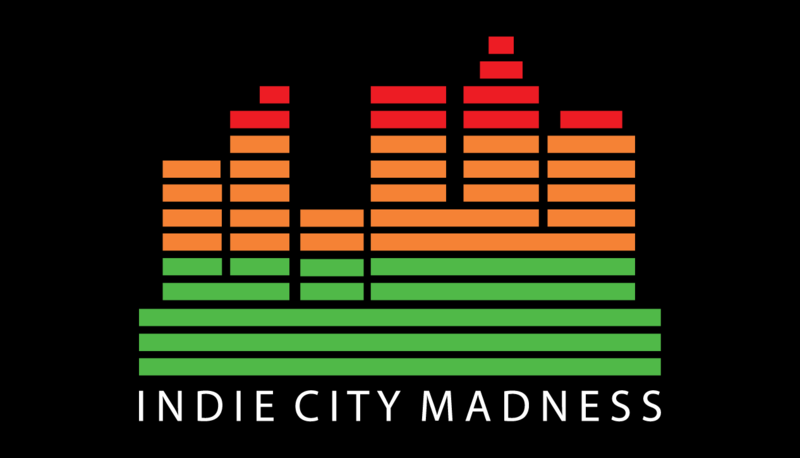 Indie City Madness takes over Monday’s Encounters for an hour and a half long show! Lots of local music for you, so enjoy! Another week, another blog post featuring a bunch of great events happening in and around Ottawa-Gatineau this week. This Wednesday at House of Targ, the Indie Scene presents a night of live music featuring some solid American alternative bands as well as a couple locals. The bill includes Columbus, Ohio emo/alt rockers Everyone Leaves, Oklahoma emo/grunge rockers Fossil Youth, Ottawa/Toronto alt rock/emo group PINE and Ottawa emo project Castlefield. Ottawa punk rockers GOAT are having an album release party this Thursday, January in celebration of their fourth studio album titled TUFF. The show is going down at House of Targ and will also feature live sets by Ottawa punks War Fair and Ottawa five-piece punk band The Lindbergh Babies. Little Suns are having their first show of 2017 this Friday, January 27 at Bar Robo. For the occasion, the Montreal/Ottawa folk pop band will be playing live alongside Montreal’s St. Lawrence Warehouse Company and Ottawa folk singer-songwriter Jon Hynes and his band. Korean-Canadian, folk-roots musician, poet and theatre artist Janice Jo Lee will be performing live at Origin Studio this Friday, January 27. The Kitchener-based artist will be sharing the stage with Ottawa singer-songwriter and multi-instrumentalist Amanda Lowe. For the second year, there’s going to be a tribute to Lemmy at House of Targ this Friday, January 27. Local bands and musicians Loviatar, In Heat, Barrow White, MotorMouth, Hot Snake Handlers, Remi Royale, Pisser, Lycanthro will be doing Lemmy covers, so you can expect to hear stuff from Motorhead, Hawkwind and The Rocking Vickers. Over at the Rainbow Bistro this Friday night, you can catch Toronto rockers Mark Band Sanders play live with Ottawa dance punk trio PEAKS, Ottawa lo-fi pop/sci-folk project Fire Antlers and Ottawa rock n’rollers Riishi Von Rex. Ottawa/Toronto DJ Drastik will be touching down at Kinki Lounge this Friday night. The producer, who’s one half of the duo Thugli, will be giving a live set at the Famalam jam alongside resident DJs Iggy Smalls and Laocapone. The new monthly dubbed Strange People dedicated to happiness, good times and curiosity is back this Friday night inside Mercury Lounge. Party people are invited to come as they are and enjoy the sounds of house, disco, techno and more. For the latest edition, guest DJs Mat Thibault and Teknobrat will be on the mix, and together they’ll take you on an eclectic musical journey that will stimulate your imagination. If you’re getting sick of the cold and need to warm up with a good dance session, the dance floor at Shameless always gets hot. The January edition of this monthly cheesy guilt-free dance party is going down on Friday at Babylon and it should have you covered with nothing but cheap dance floor bangers courtesy of DJs Matty and Skid Vicious. Québec City indie folk rockers Harfang will be giving a live performance at the Petit Chicago this Saturday, January 28. The up and coming group who’ll be release its first full-length album this winter, will be giving an intimate show alongside Quebec trip-hop/pop project De la Reine. Atlanta, Georgia hip hop artist T.I. will be making a stop in Ottawa this Saturday night as part of his “Us Or Else” Canadian Tour. The American rapper will be performing live at the Liquor Store with opening act Maurice Moore and Frank Blak, DJ Jon Deck, Prehistoric and more. Are you a fan of ska, reggae and rocksteady? If so, be sure to make your way over to House of Targ on Saturday night for the Voice Of The People Ska Night. This fun party will feature music selections courtesy of DJs Longshot and Magnificent as well as a live performance by K-Man & The 45s and The Taco Bandits. If you’re looking to boogie down to disco this weekend, head over to the Mercury Lounge this Saturday night for the Disco Lab party featuring mad scientists Trevor Walker and Greg Reain who’ll be taking care of the beats. If you attend, you’re encouraged to dress in your best 80s look to get in for free. Bangers & Mash: Ottawa Soul Music Festival is taking place on March 18, but in the lead up, organizers need the help of the public to make it the funkiest night of the year. As a result, this Sunday, January 29, they’re putting on an afternoon fundraiser at The Record Centre that’ll feature live sets by Ottawa soul/r&b band Slack Bridges, soul/jazz musicians Mack & Ben (of Monday I Retire) and The Full Time Groove spinning heavy soul and funk. If you want to end the week on an experimental note, head over to Live on Elgin this Sunday night to check out eclectic electronic project Devesceri, Ottawa atmospheric/electronic musician sbsst, synth pop trio Electric Tree and hazy synth pop/ambient project Church of Trees. The Lurids – Surfin’ One Hell of a Wave! This Monday, January 16, Robo Harb debuts at Bar Robo. The new monthly hangout featuring music curated by Ali Harb will be held between 7 p.m. and midnight, giving you the chance to enjoy a night out without having to worry about losing sleep. Dress to express! Those interested in the music community can check out the January edition of Music Monday at Impact Hub Ottawa, presented in partnership with the City of Ottawa’s Community Arts and Social Engagement (CASE). This Monday’s discussion will look at programming for musicians and include a Q&A session. The discussion will be followed by a musical performance by Jahkota. This Monday, January 16, the Girls to the Front Songwriters Circle is being held at Irene’s Pub along Bank St. Hosted by local singer-songwriter and musician Julie Corrigan, the event will feature live sets by Ottawa-based artists Pat Moore and Malak. Mexican-Canadian visual artist Dinorah Catzalco invites you to the official opening of her exhibition Tecocuahuitl : l’axe du monde happening on Thursday, January 19 at the Montcalm Gallery located inside the Gatineau City Hall. The Gatineau-based artist will be presenting a new series of about 20 colourful artworks inspired by Mexican folklore. If you can’t attend the vernissage, don’t sweat it: the exhibition will be on until February 26, 2018. But make sure you go! She’s a phenomenal visual artist and she creates breathtaking pieces that are definitely worth checking out. The Ghomeshi Effect, a verbatim dance-theatre piece that tackles sexual violence in Canada (particularly how it is handled in the justice system) and gives voice to survivors, premieres at The Gladstone this Thursday, January 19 and runs until January 28, 2017. Creator/Director Jessica Ruano and Choreographer Amelia Griffin have been hard at work to bring this important piece to life. If you miss it at The Gladstone, it will also be presented at the Shenkman Arts Centre on February 2. Renowned mindreader Jaymes White is bringing his mind-blowing brand of entertainment up close and personal to House of Targ this Thursday, January 19. If you’re into mentalism, you should purchase tickets in advance as there is very limited seating and his last six shows have been sold out. The Ottawa Asian Festival’s Night Market is back with its Winter edition happening this weekend at the Hilton Lac Leamy. This foodie event will feature the best in Asian cuisine and allow attendees to enjoy classic and creative cuisine from some of the best chefs from around Ontario. There will be lots of vendors and hundreds of delicious dishes to choose from as well as entertainment and performances. Come hungry! After 29 years, the Ottawa Art Gallery is hosting one last party in its Arts Court location this Friday, January 20. Kitchen Party DJ Sweet Cheeks will be dropping the sounds, Hard Science will be bringing the visuals and Beau’s will be pouring the brew. With interactive arts activities, the launch of our 2017 year of programming OAG Out There, and a giant piñata to ring in 2017 with a bang, this last party will be one to remember. Oh and apparently there will be pizza! Ottawa rock n’ rollers Saint Clare will be playing live at Irene’s Pub this Friday night and for the occasion they’ll be sharing the stage with local newcomers Hundred Pacers and Chris Landry & The Seasick Mommas. Montreal bubblegum punks Pale Lips will be giving a live show at House of Targ this Friday night to celebrate the release of their new record. For the occasion, the girls will be playing alongside Ottawa garage rockers Mother’s Children and Ottawa garage punks Average Times. This Friday night, DJs Zattar and Memetic bring you the first Timekode of 2017. The popular funk and soul dance party that celebrated 11-years strong this past fall will be held at D’Afrique restaurant, its new home. Get your dancing shoes ready and see you on the dance floor! This Saturday night, The British presents “Les artistes d’ici”: a free show featuring live music by artists from the Ottawa-Gatineau region. On the bill: performances by Aylmer indie electro rock band Sans Foulard and Ottawa-Gatineau alt rock group Still Winter Hills. It’s a free show, so all the more reason to go. Ottawa indie rock/alt pop trio Sleepy and the Noise will be playing live at Flapjack’s on Saturday, January 21. The newcomers, who stood out from the local scene in 2016 thanks to their debut EP Altitudes, will be performing alongside Montreal punk/rock/folk band Bucky Harris and Sarsfield, Ontario musician Cory Levesque. If you haven’t checked out Live on Elgin yet, it’s a great little venue that has a solid programming and that deserves the support of our community. Why not check it out this Saturday night and catch Ottawa instrumental metal group The Dead Centuries, Ottawa progressive metal band The Thirtheenth Floor and Toronto power trio Pantomime? Toronto-based rock n’rollers Run Coyote are back in the nation’s capital this Saturday night to play an all-ages show at Black Squirrel Books. This time around, the band will be joined by Ottawa dreampop project Sparklesaurus and Ottawa experimental psych rock four-piece Trunk. Hometown faves The Souljazz Orchestra are performing live at the Blacksheep Inn in Wakefield this Saturday for their first home show of 2017. The Ottawa-based six-piece, known around the world for its contagious soul, jazz and afro-latin sounds, always deliver solid live performances. If you’ve never been to a Souljazz show, you’re in for a treat, but get there early as their concerts tend to sell out. If you’re into folk and want to check out some live music this Saturday night, your best bet is to head over to the Petit Chicago in the Hull sector of Gatineau to catch local indie folk bands Okies and Maggie’s March. They’re two very promising Gatineau-based bands that I highly recommend you get familiar with. An entire night dedicated to the 6 God? Drake fans, you read correct. The popular dance party, at which you can expect to hear nothing but Drizzy jams and tracks from OVO affiliates courtesy of DJs Max Zims and Laocapone, is going down this Saturday night inside Babylon. Starting this Sunday, the team behind Colour & Sound brings you a new bi-monthly event at Bar Robo dubbed “Feelings”. It’s basically a night of music running the gamot of human emotions DJed by GEIS†ERH∆US and hosted by local hip hop hippy Alex Silas. The inaugural event will feature live performances by Ottawa natives DRAE, Ethan Alexander (of The Adding Machine), and DASHYPE.